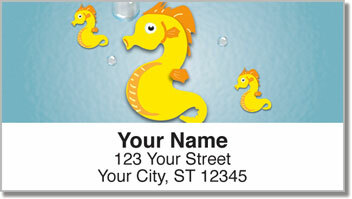 Stick some adorable aquatic creatures on all your letters and packages when you choose these unique return address labels. 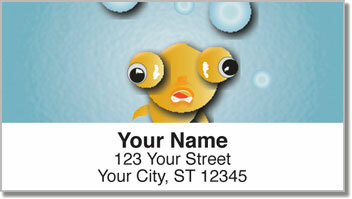 The collection of cute cartoon characters will make your outgoing mail pop with personality. You'll find smiling starfish, a googly-eyed octopus, sweet little seahorses and more! It's a party with all your pals from under the sea! 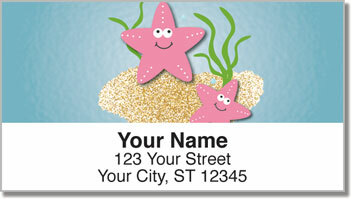 Silly Sea Life Address Labels from CheckAdvantage turn boring envelopes into something bright and cheerful. Plus, you'll save a considerable amount of time by eliminating the painstaking process of writing your name and address by hand. 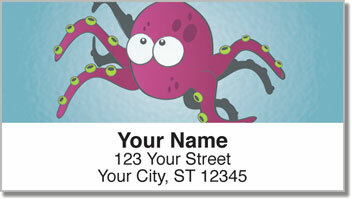 Get your very own Silly Sea Life Address Labels today! You can even make your order complete with matching personal checks!